In Jerusalem and Judah, ancient limestone burial boxes containing skeletal remains -- called ossuaries -- are fairly common archaeological finds from the 1st century BCE to the 1st century AD period. Forgers have also added inscriptions or decorations to fraudulently increase their value. So three years ago, when the Israel Antiquities Authority confiscated an ossuary with a rare inscription from antiquities looters, they turned to Prof. Yuval Goren of Tel Aviv University's Department of Archaeology to authenticate the fascinating discovery. Prof. Goren, who worked in collaboration with Prof. Boaz Zissu from Bar Ilan University, now confirms that both the ossuary and its inscription are authentic. The ossuary's inscription, which is unusually detailed, could reveal the home of the family of the biblical figure and high priest Caiaphas prior to their exodus to Galilee after 70 AD. Caiaphas is infamous for his involvement in the crucifixion of Jesus. Prof. Goren's finding has been reported in the Israel Exploration Journal. Ossuaries have recently been in the news -- an ossuary marked with a fraudulent inscription claiming the deceased to be James son of Joseph, the brother of Jesus, made worldwide headlines. 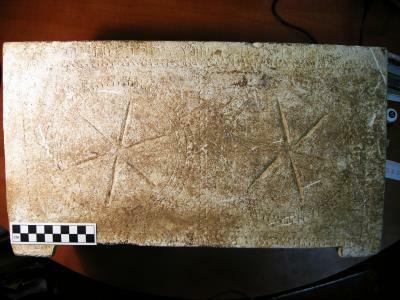 Taking this recent hoax into account, it was imperative to establish whether the Caiaphas-related ossuary and its inscription represented a genuine artefact, Prof. Goren says. Most ancient ossuaries are either unmarked or mention only the name of the deceased. The inscription on this ossuary is extraordinary in that the deceased is named within the context of three generations and a potential location. 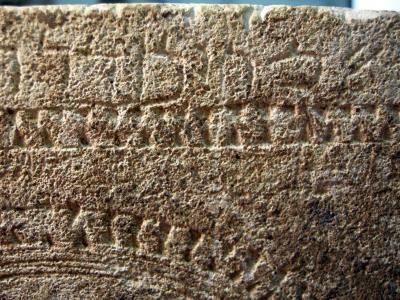 The full inscription reads: "Miriam daughter of Yeshua son of Caiaphus, priest of Maaziah from Beth Imri." The Maaziah refers to a clan that was the last mentioned order of 24 orders of high priests during the second temple period, Prof. Goren explains. While there are some records of the clan in Talmudic sources that detail their lives after they spread into the Galilee in 70 AD, the reference to Beit Imri gives new insight into the family's location prior to their migration. Though it is possible that Beit Imri refers to another priestly order, say the researchers, it more probably refers to a geographical location, likely that of Caiaphus' family's village of origin. In the Laboratory for Comparative Microarchaeology, Prof. Goren conducted a thorough examination of the limestone box, which boasts decorative rosettes in addition to the inscription. "When a rock is deposited in the ground for millennia, it is affected by the surrounding environment and affects the surrounding environment," he notes. Processes such as erosion by acidic ground water and the accumulation of calcareous or siliceous coatings, biological activity such as the development of bacteria, algae, lichens, and the nearby activity of flora and fauna lead to a coating of the stone. Most of these features are impossible to replicate in the lab. Conclusive evidence of these natural processes was found not only on the stone of the ossuary, but also above and below the inscriptions. "Beyond any reasonable doubt, the inscription is authentic," says Prof. Goren.